University is not only a place for you to learn about a chosen subject but is a great learning tool for later on in life. If you are going to be living on campus, you will need to know how to budget your money. The first step you should consider is how you are going to pay for University. Student loan deadline was 31st May although you are still able to apply now and your application will be processed as soon as possible. If you are going to be using a student loan you must also remember to consider your maintenance loans. These can be applied for at the same time. How much you will get with your maintenance loan will depend on your household income, where you are studying, where you live and for how long. Looking into bank accounts is another important action you need to take. Don’t just use whatever account your current bank has, look around and do as much research as you can. The ideal account is one with a big interest rate and free overdraft or interest free for the longest after you graduate. To help manage your money while at university, set a budget of how much you will spend each week. When working out your budget for the week you will need to think of all your incomes and outcomes. Rent- rent can be due either every week or every month it is important you know when. Bills- you will more than likely need to pay water bills, electrical bills and phone bills. Expenses- these are more daily with food and travel being the two main daily expenses. Nights out- university lifestyle normally consists of nights out at least once a week. Clubs/activities- joining clubs is a great way to socialise and will also cost some money for trips and equipment. Storage unit– many student home will have tiny bedrooms so storing some extra clothes or books in a storage unit is a handy idea. Student discount cards are a perfect way to help you stick to your budget. In towns that have a large rate of students, they will offer numerous student offers on food, clothing and services to name a few. Buying and cooking food with your housemates is another great way to save money. If there are any left overs, freeze them and use them on another day. Living close to a supermarket is a useful tool as you can always find that nights dinner in the reduced aisle. 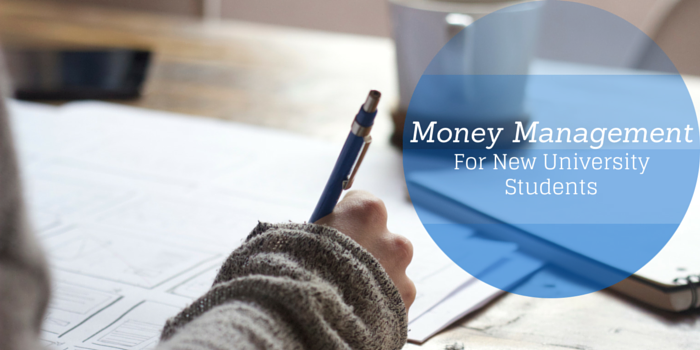 There are several different ways to save your money when you are at university. The most important thing to remember is to be sensible with your money, especially at the start of the month. University is about learning, having fun and more importantly preparing you for your future.